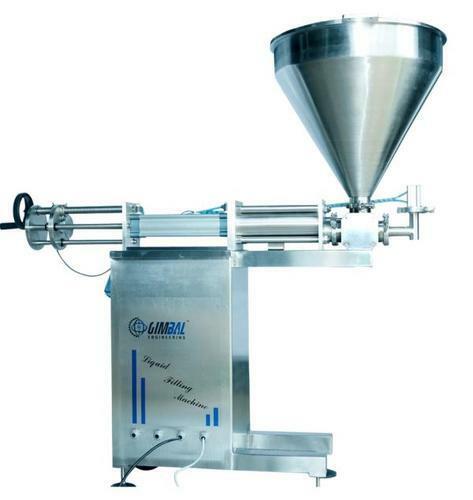 We are among the pioneers in the industry, engaged in manufacturing and supplying Semi -Automatic Idli Dosa Batter Packing Machine. These machines are designed by meticulous professionals using optimum quality materials and sophisticated technology. The offered machines are acknowledged for their short work cycles which helps the customers to attain maximum operational efficiency. Established in 2001,"Zigma International" is one of the leading manufacturers & exporters of Food Processing Equipments, Meat Processing Equipments, Juice Processing Plants & Pharma equipments in India. Additionally, we are providing Consultant for Ayurvedic Plants, Pharma Machinery, Food processing Plants & Juice processing plants to the new and existing Clients that are spread throughout the world. We are based at Coimbatore in Tamil Nadu, the hub of Farmers House. We are young and dynamic organization with zeal to achieve success by providing the customers with an unmatched array of products. In a short time frame, we have developed strong business alliances and relationships with a number of reputed vendors across the nation. Our professionals interact closely with the customers to understand their needs and offer solutions that are most suitable, further they are always available to answer any query that the customer might have and to assist them in any way possible. The wide range of quality products help us to cater to the ever growing needs of our clients. Our aim behind supplying different products under one roof is to provide a one-stop solution to the global clients. Our quality analysts keep on looking for newer ways to enhance the quality of our range and conduct stringent quality tests to ensure the durability of our product range. We strive to supply unmatched range, where quality and timely delivery speaks volumes and prices are reasonable. we are export our product all over the world like South/West Europe, Middle East, North Europe, South America and North America etc.